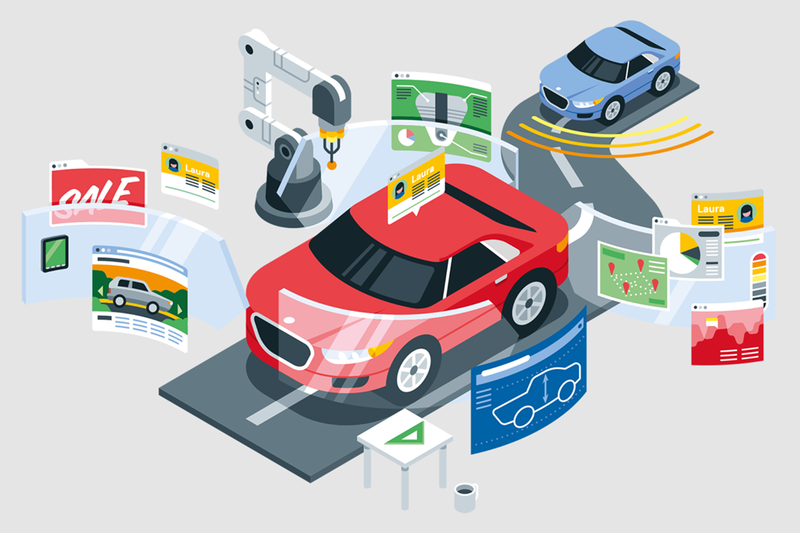 Once thought of mainly as a tool for remote backup, the cloud is transforming global business by providing computing power on demand, and that change is nowhere clearer than in the automotive industry. As a platform for big-data analytics—the ability to find meaning in the undifferentiated data stream from every moving part of the Internet of Things—the cloud has revolutionized everything from design, manufacturing, and supply-chain to dealerships, customer experience, and the future of connected cars. A great circle of cloud-based communication among cars, dealers, and manufacturers puts the owner-customer at its epicenter, promising highly responsive service, quick-turn design of new features, and hands-free productivity tools that seamlessly integrate the car with home and office. Even now, major auto makers are betting heavily that cars will themselves become an on-demand service, leaving ownership to fleets. The future is being built right now, thanks largely to the cloud.